There are times in our career when we know we need to change something, but we don’t know how to do it. At times like this it can be good to engage a coach to help develop the necessary skills and navigate the way forward. Coaching offers a personalised approach to learning so that you can cover the topics that are specifically relevant to you. You can choose how much depth you want to go into for each learning area and discuss how it applies to your role. Delivery schedules are flexible with the option of face to face, Skype or phone coaching to choose from. New manager coaching program – designed for new managers to help them transition into their role, take on new responsibilities and manage changing relationships with colleagues whilst also keeping up with their own deliverables. New supervisor / team leader coaching program – a program to help new supervisors and team leaders understand their new role, the areas they need to focus on and how to be effective and efficient with their time use. Practical management skills coaching program – a tailored program to help managers improve their key management skills so they can plan and manage their own work whilst also ensuring the team keeps on track to achieving performance goals and objectives. Leadership coaching program – program designed for executives and entrepreneurs who want to improve their leadership skills. 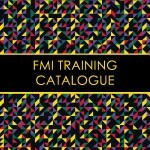 FMI course coaching programs – FMI offers a range of coaching programs to develop very specific skill sets such as business writing, delegation, negotiation, conflict management and performance management. These programs provide the learner with a tailored learning experience so they can develop the skills required. If you are interested in learning more about FMI’s coaching programs please contact us to discuss.